In the most popular Golden Triangle and Varanasi tour, Lucknow the city of Nawabs is also included. 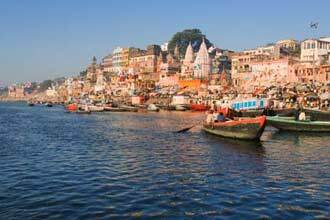 In this Golden Triangle tour package with Varanasi, a lot of train travel is also included. This tour is more for the adventurous. 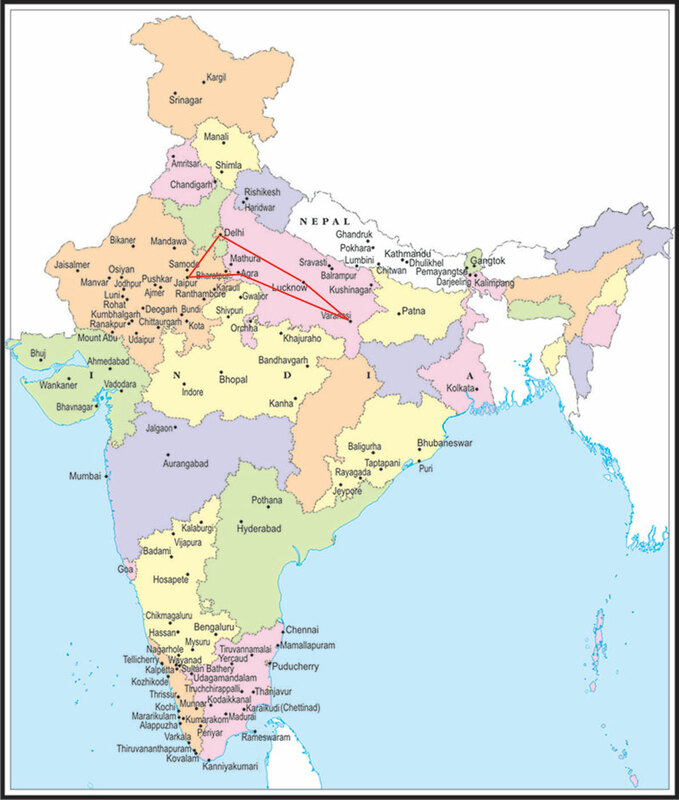 As this is a 11 days Golden Triangle tour from Delhi, it is ideal for travelers who have a shorter time for vacations. An optional evening Arti at Varanasi will make the Golden Triangle India with Varanasi tour more interesting. The Taj Mahal specialist travel agency Services International Lufthansa City Center brings you this India Golden Triangle with Varanasi tour. Morning Visit Raj Ghat - the cremation site of Mahatma Gandhi and , Jama Masjid and drive past Red Fort and Chandni Chowk. Check-out at 1200 hrs. Afternoon tour of New Delhi. Visit Qutab Minar, Humayun's Tomb, India Gate, Lakshminarayan Temple - a modern Hindu Temple. Drive past President's House, Government Secretariat buildings and Connaught place shopping centre of New Delhi. Evening transfer to Rail-station for Lucknow night train. Night on board.